Luke is now just one relic away from opening the doorway back to his own world and taking his parents from the terrors of Scream Street – but the final search will plunge him into his most dangerous adventure yet. With the help of Resus and Cleo, Luke hunts for the claw of a werewolf and learns something entirely unexpected about Samuel Skipstone, the author who has helped them so much on their quest. 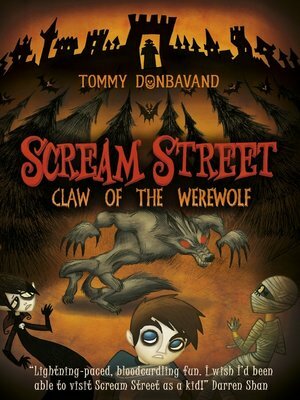 The trio are thus forced into a difficult decision, not helped by the presence of a witch convention in Scream Street which is causing havoc in the neighbourhood. The sixth and final relic is almost in Luke's grasp, but will it ever be his...?